Theme parks are filled with screams. Anticipation builds as a roller coaster click-clacks up its lift hill, and riders express the catharsis of racing headlong down the other side with blood-curdling squeals of delight and peals of nervous laughter. It's the sound of exhilaration. There is art and science behind those thrills. And there are people, such as the folks at PGAV Destinations, who use art and science to plan, design, and build theme park rides and a host of other attractions, including zoos, museums, and historic sites. 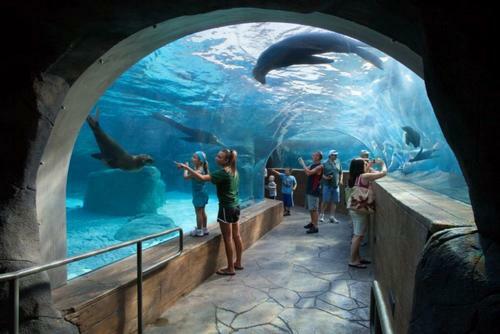 The St. Louis-based company operates behind the scenes, bringing projects to life and making exhilaration possible at places such as SeaWorld Orlando, Kennedy Space Center, Holiday World, and Dollywood. SeaWorld brought the design firm on board to help develop the first major ride for its Florida park. The company determined that the ride would have to include thrills in order to make a splash in Orlando's competitive and crowded environment, according to Jeff Havlik, VP, PGAV. It also concluded that the ride should have a water-based theme to correspond to SeaWorld's marine life focus, that it should appeal to a broad spectrum of the park's family audience, and that it should feature a strong story. The concept evolved into Journey to Atlantis, the industry's first water coaster. "Usually a park will look at existing ride systems," Havlik says. "We came up with a new system to meet the park's needs." The unique, highly themed attraction, which is a combination dark ride, flume ride, and roller coaster, opened in 1998 and is still thrilling SeaWorld visitors today. To develop coasters such as Journey to Atlantis, Havlik says that he and his team have to consider the effects that gravitational forces, acceleration forces, and other variables would have on riders' bodies. "The changes in what your mind sees, how your body reacts, and what your inner ear experiences all contribute to thrills," he explains. The ride conjurers use their bag of tricks to disorient riders and elicit fight-or-flight responses that get adrenaline flowing and heart rates racing. 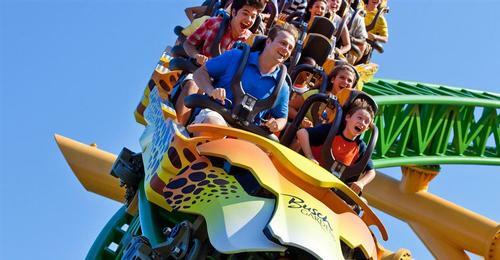 "Science plays a great role in determining how coasters are designed to deliver maximum thrills," adds Havlik. Other rides that PGAV helped develop are Wild Eagle, a 61 mph wing coaster (in which the seats are on the "wings" along either side of the tracks) at Dollywood in Pigeon Forge, Tenn. and Thunderbird, a 60 mph launched wing coaster at Holiday World in Santa Claus, Ind. In addition to helping existing parks expand, the design firm can serve as master planners for new parks. That's the role it is playing for Owa, a mixed-use development on Alabama's Gulf Coast that is scheduled to open this summer. 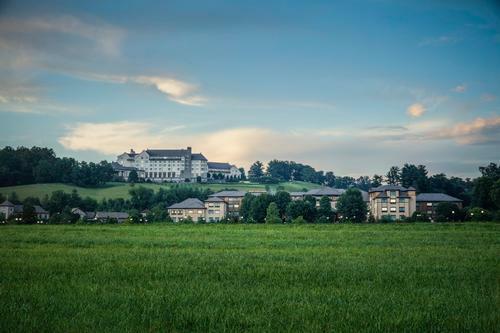 It will include hotels, a shopping, entertainment, and dining district, and a 14-acre theme park. After PGAV looked at demographics, conducted surveys, and compiled other research, it determined that while some high-thrill rides should be part of the mix, the park should be family-focused and keep adrenaline-boosting to a minimum. "Mothers make most decisions about travel and leisure," says Havlik. "And mothers want their families to do things together." Even the rides that are geared for toddlers at Owa are being designed so that parents will be able to hop on board with their children. 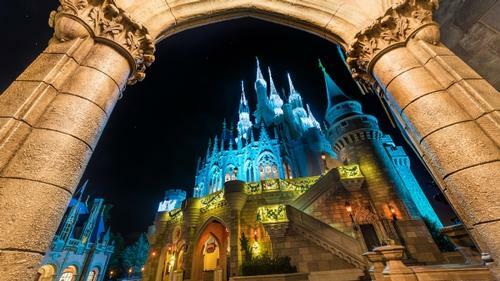 PGAV also does a lot of research on behalf of parks and attractions that is related to storytelling according to Mike Konzen, the company's CEO. The firm uses its findings to make sure that rides' stories unfold in ways that engage visitors as deeply as possible. "A term I like to use is 'wonder'," Konzen says. A close relative of exhilaration, the CEO says that wonder can show up in many attractions, not just coasters. As an example, he points to the Shuttle Launch Experience that PGAV helped create for the Kennedy Space Center in Florida. "The first time the actual space shuttle orbiter Atlantis is revealed to you, the sense of wonder is powerful," notes Konzen. The company uses focus groups to measure aspects such as wonder when it designs attractions such as the shuttle experience. Another way that PGAV gauges wonder is to go to parks and attractions and observe the results of their work. "There is nothing better than sitting on a park's bench and watching families come out of the exit of an attraction you designed," says Havlik. "They are laughing, giggling, and thrilled. It's the big payoff." For Havlik and his PGAV colleagues, you might even say it's exhilarating.